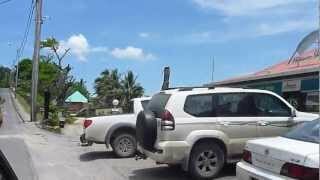 S -17° 44' 1" and E 168° 19' 18"
Port Vila in Shefa Province with it's 35,901 inhabitants is a city in Vanuatu. It's the capital of this country. Local time in Port Vila is now 08:16 AM (Tuesday). The local timezone is named Pacific / Efate with an UTC offset of 11 hours. We know of 8 airports in the vicinity of Port Vila. The closest airport in Vanuatu is Port Vila Bauerfield Airport in a distance of 2 mi (or 4 km), North. Besides the airports, there are other travel options available (check left side). There is one Unesco world heritage site nearby. It's Chief Roi Mata’s Domain in a distance of 95 mi (or 152 km), North. If you need a place to sleep, we compiled a list of available hotels close to the map centre further down the page. Depending on your travel schedule, you might want to pay a visit to some of the following locations: Lakatoro, Isangel, Saratamata, Luganville and We. To further explore this place, just scroll down and browse the available info. Let's start with some photos from the area. 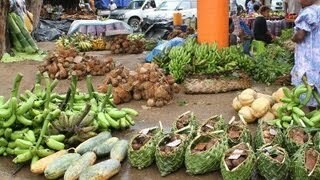 Le marché de Port Vila tout en couleurs. Capitale du Vanuatu http://www.photoyage.fr/galerie/oceanie.html. 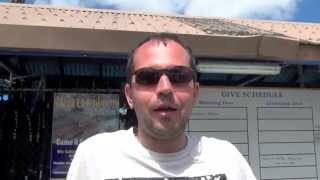 A first person glance into some of the adventures that are to be had around Port Vila, Vanuatu. 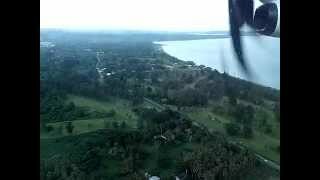 Landing at Bauerfield International in Port Vila, Vanuatu with a small airplane arriving from Nadi, Fiji. Nice approach going around islands and lagoon ! VANUATU TOURS - SOUTH PACIFIC - Jürgen Schreiter Globetrotter Car Ride Port Vila - Vanuatu Cruise -- City Traffic - Downtown Port Vila - Vanuatu. 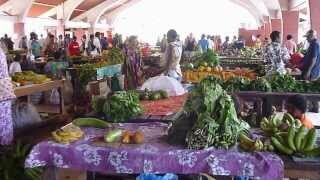 Food Market Port Vila Vanuatu - Vanuatu Port Vila Tours & Adventures. 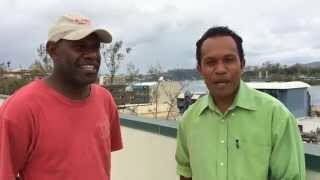 In downtown Port Vila: 12 days after Cyclone Pam came through, the Church Clerk and an Elder of the SDA Church in Vanuatu tell a little bit about what happened to the Torua SDA Church in Malapoa,. Located at -17.6992, 168.32 (Lat. / Lng. ), about 2 miles away. 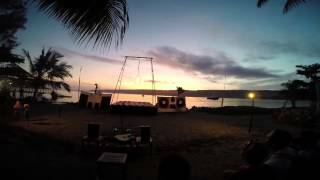 Efate is an island in the Pacific Ocean which is part of the Shefa Province in The Republic of Vanuatu. It is also known as Île Vate. It is the most populous (approx. 50,000) island in Vanuatu. 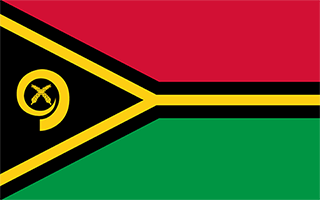 Efate's land area of 899.5 square kilometres makes it Vanuatu's third largest island. Most inhabitants of Efate live in Port Vila, the national capital. Its highest mountain is Mount McDonald with a height of 647 metres . Located at -17.6667, 168.417 (Lat. / Lng. ), about 8 miles away. Located at -17.7339, 168.337 (Lat. / Lng. ), about 1 miles away. Located at -17.7456, 168.316 (Lat. / Lng. ), about 1 miles away. Roy Mata was a powerful 13th century Melanesian chief from what is now Vanuatu. His elaborate grave, containing the bodies of over 25 members of his retinue, was discovered by French archaeologist Jose Garranger in 1967 and inscribed on the World Heritage List in 2008. Garranger was able to locate the grave on Retoka island by analyzing local folklore. According to legend, when Roy Mata conquered the land, his first goal was to unite the tribes. His reign is reputed to have been a peaceful one. Located at -17.6281, 168.178 (Lat. / Lng. ), about 12 miles away. Located at -17.7856, 168.386 (Lat. / Lng. ), about 6 miles away. Located at -17.7347, 168.322 (Lat. / Lng. ), about 0 miles away. The privately lease held island of Iririki is located in Mele Bay, a free 3-minute ferry ride from the Vanuatu capital Port Vila. The whole island is leased to the Iririki Island Resort and no ni-Vanuatu live on the island. Located at -17.7446, 168.309 (Lat. / Lng. ), about 1 miles away. Mele Island (also known by tourists as Hideaway Island) is a Polynesian outlier and islet in Vanuatu. The island is owned by the local Mele villagers, but is leased to the owners of Hideaway Island Resort. The island is accessed by a boat service from nearby Port Vila and offers accommodation and watersports to visitors. Located at -17.6966, 168.264 (Lat. / Lng. ), about 5 miles away. The National Museum of Vanuatu (or Nasonal Miusium blong Vanuatu) is located in the Vanuatu Cultural Centre in Port Vila, Vanuatu. It specializes in exhibits relating to the culture and history of this group of islands in the South Pacific. Located at -17.7452, 168.318 (Lat. / Lng. ), about 1 miles away. The Vanuatu Cultural Centre (in Bislama Vanuatu Kaljoral Senta or "VKS"), founded in 1959, is the national cultural centre of Vanuatu. It is located in Port Vila. Since 2007, its director is Marcellin Abong. The National Library is the national library of Vanuatu. Located within the Vanuatu Cultural Centre in Port Vila, it contains about 15,000 books and serves both as a national repository for "rare and special" material, and as a lending library. It was established in April 2004. The Library possesses two "special collections", one devoted to Vanuatu and the other to other parts of the Pacific. It holds "some 500 rare items" about Vanuatu, primarily a collection of rare books. These are some bigger and more relevant cities in the wider vivinity of Port Vila. These are the most popular locations in Vanuatu on Tripmondo.